An efficient and effective way to stay in touch with prospects and customers, email marketing can be a very valuable tactic in any marketer’s strategy when executed properly. It can be a confusing channel to navigate, however. To help folks new to the idea of email marketing, I’ve scoured the internet’s forums for some of the most common questions people are looking for answers to and consolidated them into one convenient place. 1. 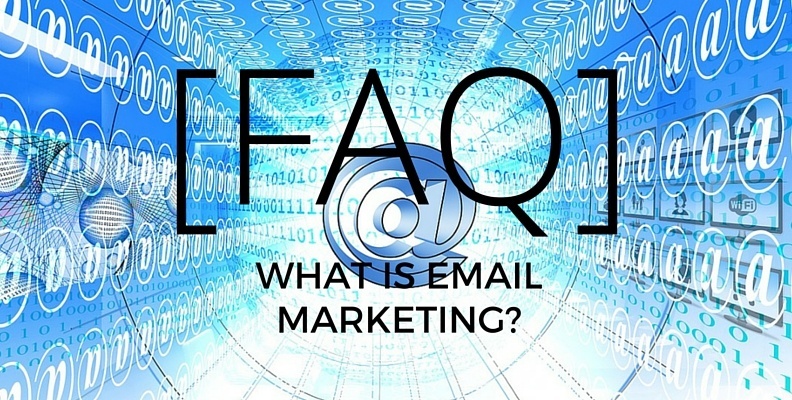 Why is email marketing important? If you like to give your prospects and customers what they want when they want it, that statistic should be a pretty compelling reason to launch or improve your email marketing efforts. If you prefer to give your prospects and customers what you think they want instead, your team could be missing a number of valuable opportunities. 2. Can I use email marketing for [fill in the industry]? The short answer is: probably, yes. Considering the digi-scape we live and work in today, most folks are accustomed to communicating through non-traditional channels. And as mentioned above, most actually prefer online communication over traditional means like the phone or direct mail. Frequency. While email is a great way to stay in touch and top of mind, it’s easy to come on too strong by sending too many emails. The key to refining the cadence of your email sends is to analyze the performance data after each send. For instance, a large number of unsubscribes would be cause to evaluate whether you could be over-sending or not. Content. There are many styles of email marketing in terms of the types of content and messages you can leverage. It is critical to understand what your audience expects to receive through e-communication. Inboxes tend to get bombarded with emails all day, so it’s important to ensure you’re sending valuable content rather than simply emailing for the sake of emailing. Prospects and customers will see through that. 3. How do I know if email marketing is right for my organization? If you currently have a contact database with clean email addresses and/or a strategy for capturing new email addresses AND you have something valuable to say to those individuals, email marketing is something you should incorporate into your overall digital strategy. Since email marketing is one of the easiest strategies to measure attribution and ROI, it’s a tactic you can keep close tabs on to determine if it’s effective and what proportion of your resources to dedicate to it. Check out this post to learn more about the six metrics and KPIs you should be monitoring across your email marketing strategy. 4. What are some useful tools or software for email marketing? There are several tools out there that can help you reach your contacts through email. From platforms that exclusively offer email delivery service to platforms that cover the full gamut of marketing channels, there are many options you can evaluate based on your specific needs. Will you have access to performance metrics and data that is organized in a useful way? Does the provider have a reputable reputation with SPAM filters? 5. How can I create a powerful plan for email marketing? Deliver the right information to the right person at the right time. It can be tempting to use email as a way of maintaining regular contact with your database. However, if you don’t provide your contacts with anything valuable, your email will become spam clogging up their inbox. Who is the target persona? Which lifecycle stage are they in currently? What kind of information would be helpful to them in their buyer’s journey? What is the timeframe for which you’re planning your series of emails? Answering these questions will help you determine 1) how many emails you’ll need to draft to cover the desired timeframe and the frequency at which you’ll be sending and 2) most importantly, the content meat of each of those emails. Once you get started actually building out the emails, it will be important to keep them simple with a very clear call-to-action. It can be tempting to pack tons of information into one email, but this could easily confuse recipients and distract them from completing your main objective. There are many best practices out there to help guide you. 6. What are the best ways to grow my email list? A solid email marketing strategy will be futile without any contact email addresses feeding into it. To fuel the engine, you’ll need an effective acquisition method in place. One of the best ways to do this is to offer your website visitors a valuable piece of downloadable content. The idea is simple. First, create something that will help your target prospects identify a pain points with their current solution, help them resolve an issue they’re experiencing, or make their job easier. Next, build a landing page to promote that piece of content and gate the offer behind a form. The form will capture a contact’s information for your database and the submission should trigger access to the content. Once the framework is built out, it will be critical to promote your offer in the places your targets are likely to be consuming information already. Driving more visitors to the landing page you’ve created will increase the number of conversions, ultimately growing your contact database and fueling your email marketing engine. 7. What does the CAN SPAM act have to do with email marketing? And regardless of what the name implies, this law doesn’t just apply to bulk email. It covers each and every electronic mail message with the primary purpose of promoting commercial content and websites. You can check out the FTC’s website for more information specifically regarding the CAN-SPAM dos and don’ts. 8. What is the best email subject line for recipients to view or open my message? There are a number of different types of subject lines that have proven to be effective in various applications. Generally speaking, subject lines should be concise and honest. Creating a compelling one-liner should not be done at the expense of your trustworthiness – your contacts will become frustrated if you overpromise in the subject line and under-deliver in the message itself. 9. How can I add personalization to my emails? Depending on the email delivery platform you use, there may be a number of different options for personalizing your emails. The most basic form of personalization you can leverage regardless of the solution you’ve integrated is ensuring that your messaging is tailored to both the persona and their lifecycle stage. Nothing is more off-putting to users than messaging that hasn’t been crafted with them and their needs in mind. Other opportunities for personalization may include: personalization tokens that populate the email message with their personal information, design elements like the header, or the trigger that launches the email (i.e. an abandoned cart email). Amanda is a lifelong learner and passionate about all things marketing. She is dedicated to the strategies behind growth promotion, branding and social media. She has spent the last five years refining her marketing skills. She’s a pretty good snowboarder too for someone who learned on the cornfields of Iowa. 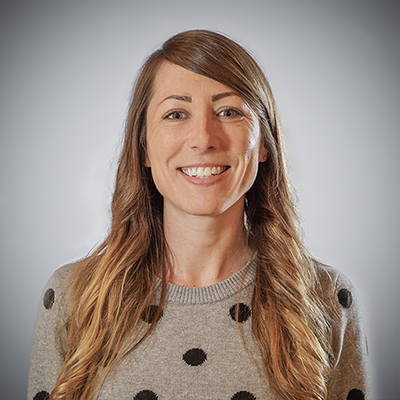 Amanda is constantly upping everyone’s ability here by implementing innovative ideas, whether it’s a better way to post socially or a better way to track sales qualified leads.